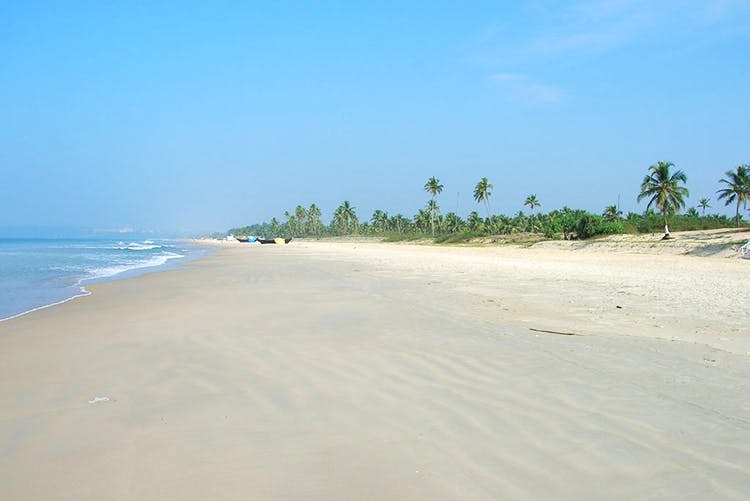 Cabo De Rama Beach is beautiful, and it’s entirely possible to walk down the whole stretch and not meet anyone. The best part? That also makes it far away from civilization, people and noise. It’s ideal for people who’re travelling to Goa, especially for the first time, and are looking to spend time enjoying nature, peace and alone-time in tranquility. I shot part of a music video here; just walking in the sand and watching the sunset was quite an experience. It was so empty that I could just change for the music video I was shooting behind a rock, without anyone noticing. Head 28 kms from Margao, towards South Goa. It’s about two kms away from Cab De Ram Fort. Best time to visit is certainly February to mid-April. Wine and camera are a must to carry! Since the beach is rocky, it could get slippery, so wear appropriate footwear and climb to the top of the cliff for a glorious sunset and the perfect view of the entire ocean.